College of Coastal Georgia faculty and staff were recognized for reaching milestone years of service and dedication to the College at the bi-annual all-College meeting, also known as Launch, on August 7 at the Southeast Georgia Conference Center. The meeting is special event where all employees of the College come together to get ready for a new fall or spring semester. Employees heard from new College of Coastal Georgia President Dr. Michelle Johnston and vice presidents on the state of the College and new things on the horizon. 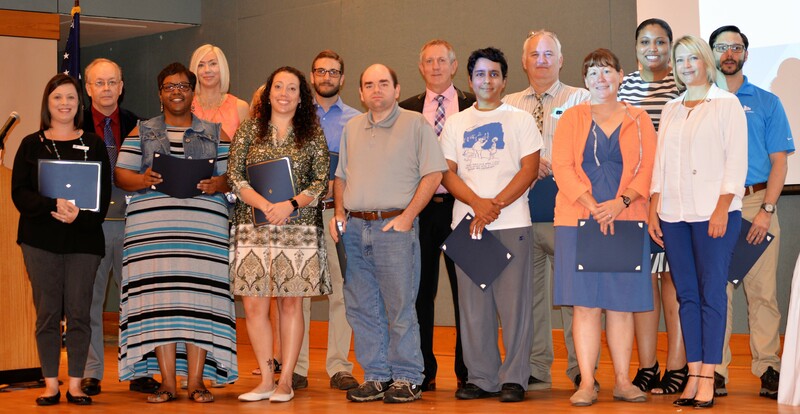 One of the highlights of Launch were celebrations of employees marking service milestones. Jordan Hernandez and Rebecca Sharpe were honored for 10 years of service to the College; Brian McLeod and Anjee Tucker for 15 years; and Ed Grueser and Gary Strickland for 20 years. Finally, Michael Hannaford, John Kissinger, Karen Martin, Don Matthews, and Jeff Preston were saluted for their 25 years of service to the College. "The commitment and dedication of our faculty and staff at the College of Coastal Georgia is remarkable," said Johnston. "We are grateful that these employees have invested their talents over many years to bring a quality education to our students and improve the quality of life for the Brunswick-Golden Isles community." 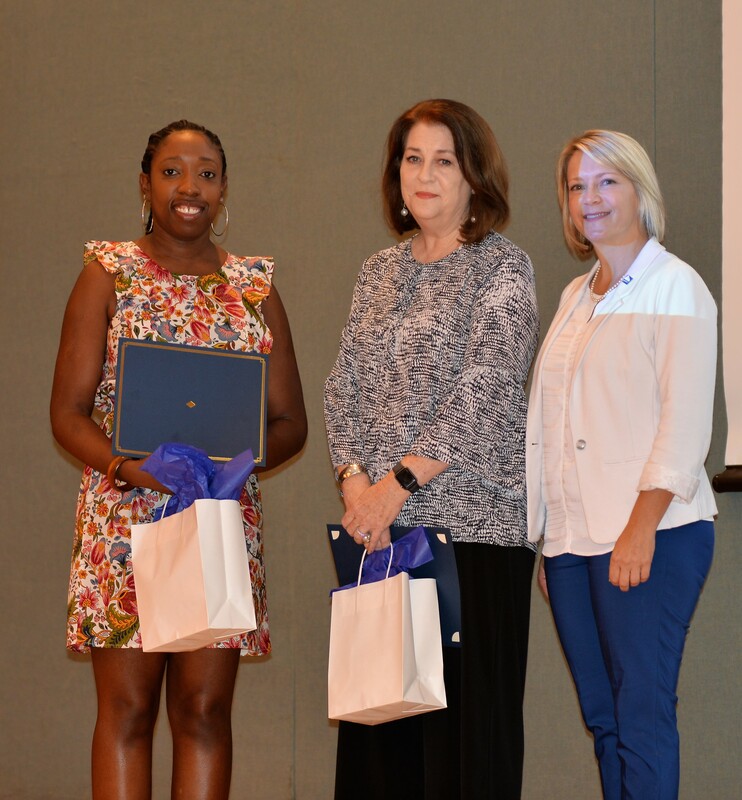 Also honored during the event was Brittany Garcia, coordinator of student engagement and intercultural programs, who was named Outstanding Staff Member. Garcia was nominated by her colleagues for her contributions towards maintaining a positive atmosphere for self-expression and learning on campus.